Seagate Technology, one of the leading storage company has unveiled the new line up of latest Guardian Series hard disk drives that include BarraCuda Pro with unbelievable 7,200 RPM and 10 TB capacity, FireCuda which is a perfect blend of SSD and HDD, IronWolf an innovative solution to meet the needs of small business enterprises and SkyHawk a powerful and smart observant for surveillance industry on large scale. 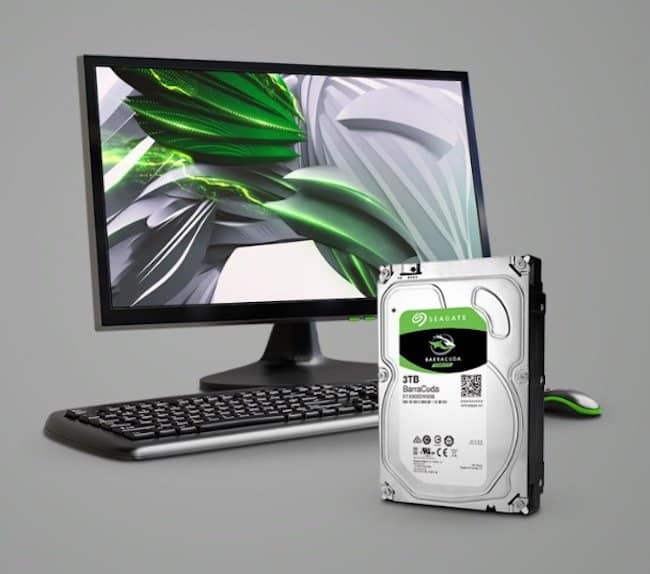 The new products of Seagate fulfill the storage requirement of every professional, gamer or techno-freak who wants extra room for gaming, fast loading, vast storage and reliability. Let’s have a look at all four products one by one. Win victory over storage barriers; meet the powerful, swift, flexible and enduring Hard Drive BarraCuda which boasts stunning Speed with amazing Quality. It offers enormous storage capacities up to 10 TB and 7,200 Revolutions per minute that moves for unforgettable execution while playing high end graphic games, downloading moving or running heavy application. BarraCuda steers feature of the industry with the highest potential for desktop as well as mobile computing. BarraCuda Pro provides extra strength and can be considered as one of the most prominent and reliable option for raising the device up to the highest standards, users get a 5 year limited warranty with the device too. Three variants of Seagate’s BarraCuda Hard Drive are available for the users. Its a 7 mm thick, cost efficient Hard Drives which delivers top notch performance and provides lightweight options for durable storage up to 2 TB with Multi-Tier Caching technology. The hard drive is highly recommended for Laptop and mobile storage, all-in-one or external storage. Authentic build is unlikely to change and quality and performance is consistently ineradicable for years. Excellence of Multi-Tier Caching technology and great blend of capacity and price makes it affordable for masses. Apart from desktop storage it is also recommended for home servers and DAS devices. Multi-Tier Caching technology combined with massive cache size applies force on computing device’s performance up to the highest level possible. It offers exceptional 7,200 spin speed to load files and apps faster and provides awesome 10 TB storage. BarraCuda Pro is definitely the most robust hard drive you might have ever encountered. Its a fast, smart and fierce Hard Drive which is capable of providing a very pleasurable Hard Drive experience to any technical expert, professional or gamer. It runs meld tool which is based on latest SSD technology with the standard HDD and provides great storage capacity and up to 5 times faster speed then a normal Hard Drive. Drive boots in few seconds instead of minutes and provides faster load speeds for continuous performance which makes it highly preferable for high end graphical gaming. You have no need to uninstall old games to store new one as it offers up to 2 TB of space which is more then enough to store at least 35 to 40 games even if the size is around 25 GB of each one. FireCuda SSHDs are highly durable and come with 5-year limited warranty. These Hard Drives are cost efficient and performance-tuned to consume less power then others using Hybrid technology. They are also good in reducing heat generation which eventually results in improved frame rate and overall performance. 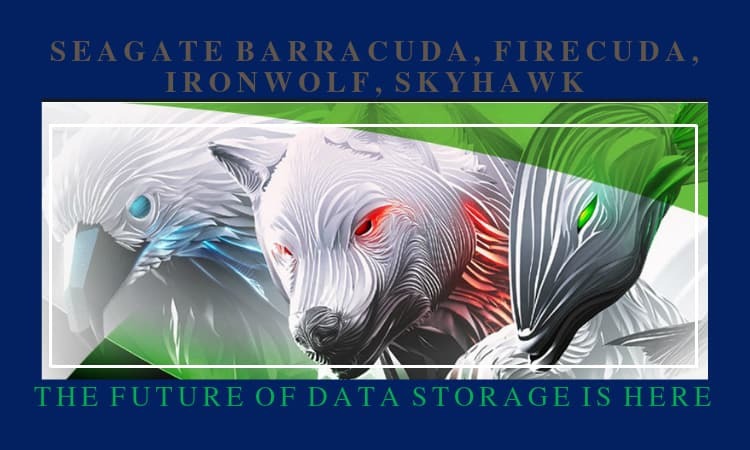 Make the best use of Redundant array of independent disks (RAID) and Network-attached storage (NAS) with IronWolf which is intensified with AgileArray technology for high level of durability and system activity. Utmost workload rate limit, multi user technology and highest capacity provide top notch performance at the level of the enterprise. It is highly recommended for file-level data storage server of small businesses. AgileArray emphasizes on best possible RAID experience, power efficiency and avoid off balancing of Hard Drive. Advanced power management provides power when NAS requires it the most. On 6 TB, 8 TB and 10 TB storage capacity drives Rotational Vibration (RV) sensors and Dual-plane balance are available. You can allow user workload up to 180 TB/ year with multi user technology to optimize your NAS where users can download or upload data and maintain the privacy as well. Extendable and consistent storage helps you to keep your work up to date. IronWolf is a reliable associate for remote assistance and allows you to continue the work from anywhere, anytime. Wide range of storage capacity from 1 TB to 10 TB provides sufficient space for media streaming and makes it highly preferable for gaming consoles too. Skyhawk is one of the most trustworthy, secure and intelligent hard drive which is well tuned to provide surveillance with amazing storage capacity of up to 10 TB which is sufficient to store the recording of more then hours. It packs the distinctive Image Perfect firmware for clear and smooth streaming and ensuring rock solid protection all the time. To keep an eye on possible danger or difficulties you need a sharp observant that’s why people place cameras in their offices but a powerful recorder to maintain the data is also required. SkyHawk records 90% of the time and has the ability to support up to 64 High definition cameras. Skyhawk features NVR ready design for long lasting performance, 3-year Seagate +Rescue Data Recovery Service plan to your data with higher success rate, 180 TB/year workload rating, ability to perform between 0 degree C to 70 degree C, Stain resistant components and consumes less power. If you have a gaming laptop, run a small-medium business organization or want to have a huge collection of movies and music files, you need good amount of storage capacity to make it possible. There are many hard disk drives from various companies are available but Seagate has establish itself as a trustworthy brand and has introduced many outstanding storage solutions for the users that’s why people love to use their storage drives.